when the holiday season rolls around, the cocktails are just as much fun to make as the desserts! 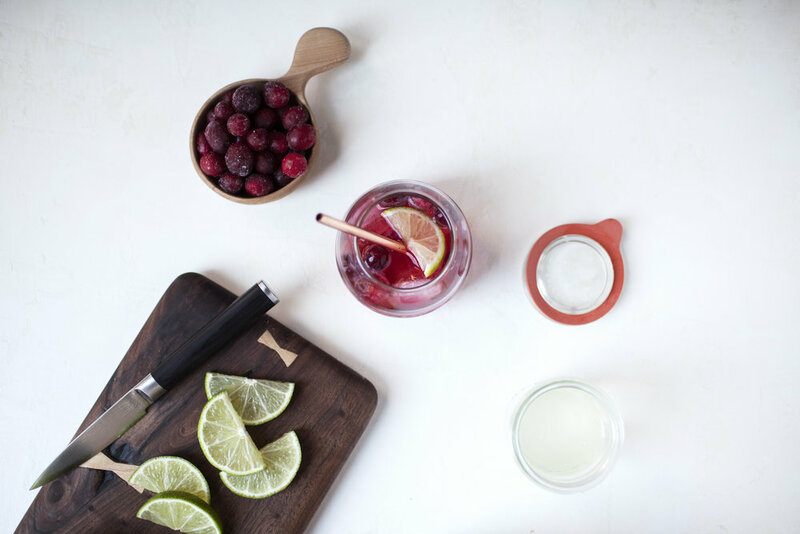 i love creating seasonal twist on classic drinks, like this cranberry mule. inspired by the mooscow mule, this drink combines the classic vodka, ginger beer and lime with a splash of cranberry juice. the colour the cranberry juice brings is so beautiful and festive. to add a little wintery + woodsy flair i opted to garnish it with a fresh sprig of rosemary. 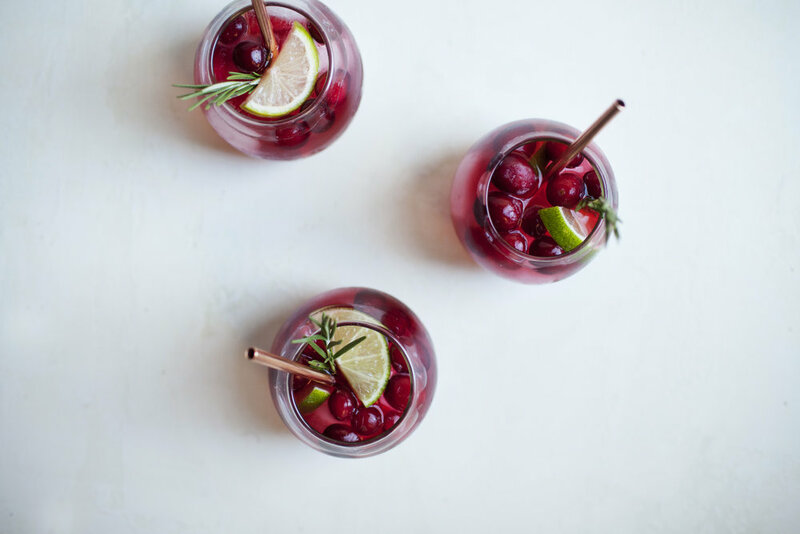 because cranberry juice can be a little tart, there is the option here to add a splash of simple syrup to the drink. however, i prefer my cocktails to be not so sweet, so i will leave this up to your own personal taste! add the vodka, ginger beer, cranberry juice, simple syrup (optional) and lime juice in a cocktail shaker. shake well! add the frozen cranberries and ice to the glass. pour mixture over ice. garnish with lime slices and a sprig of rosemary! this post was created in partnership with the citizenry!